If you have a subscription to one of our products in place you can cancel it in your account's user profile. The user profile for the Create product is at https://app.clipchamp.com/account. The user profile for the Utilities and API products is at https://util.clipchamp.com/en/profile. More detailed instructions for each process are below. Make sure to access these pages on a laptop or desktop computer, preferably in Chrome. If you're not seeing a cancellation option on the profile page, make sure that you're logged into the correct Clipchamp account if you have more than 1 in place. 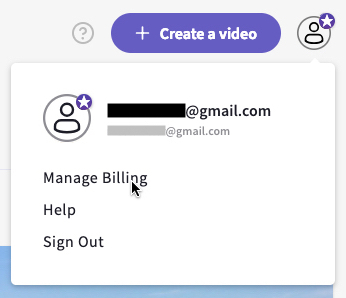 To cancel a subscription to one of Create's paid plans, go to your Projects Page and click on your account icon in the top right, then choose Manage Billing (or visit https://app.clipchamp.com/account). Under Manage Plan & Billing, you will see your current plan displayed. Click on the Change plan button beneath it. 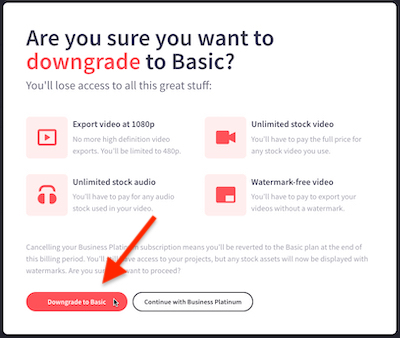 Then confirm the cancellation in the popup by clicking Downgrade to Basic. This will downgrade your account to Create's free tier, and this change will take effect at the end of your current billing period. If the cancellation was successful the account page will now display 'canceled' next to your plan. On the Profile page, under Your Subscription, you will see the plan or product you're subscribed to. Click on Would you like to cancel your subscription? 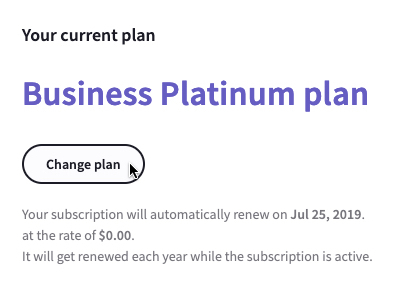 Cancelling your subscription will downgrade your account to Clipchamp Utilities free tier and will take effect at the end of your current billing period. If you change your mind you can click on Undo Cancelation before the end of your current billing period. 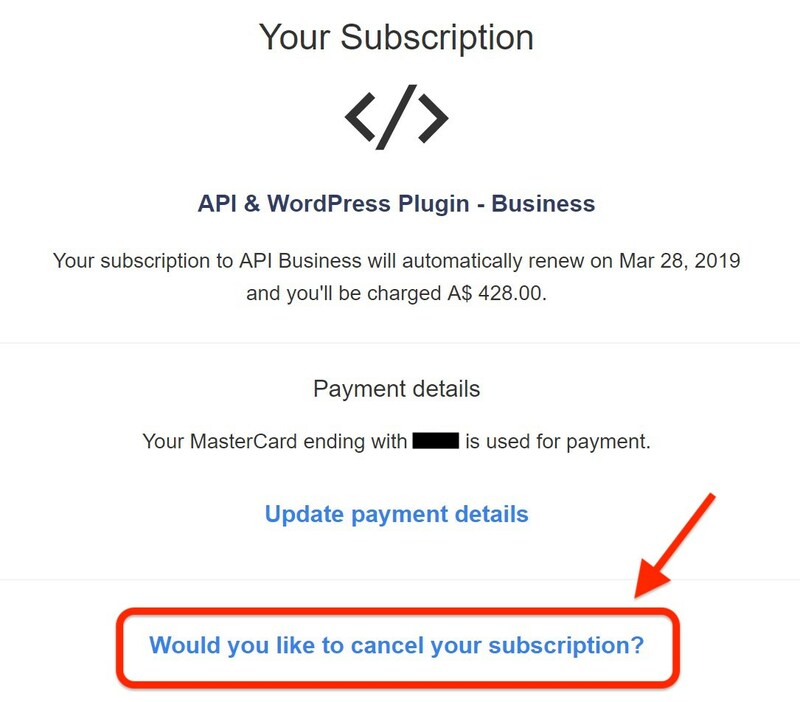 This will stop the pending cancellation and keep your Clipchamp Utilities, Wordpress Plugin or API subscription active. Refunds for the current billing period are not included when you cancel your account, but after cancelling your account you will not be charged for any additional renewal periods. 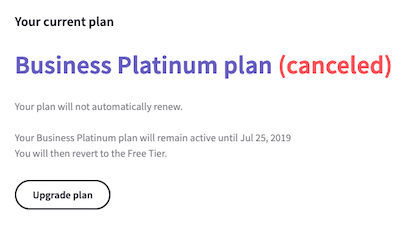 You can continue to use your plan features until the end of the billing period (which will be at the end of the monthly or annual period depending on the billing frequency you chose when signing up to the plan). For more details please see https://clipchamp.com/en/terms. If you would like to delete your Clipchamp account altogether, please see: How to delete a Clipchamp account.